As business owners and human resources managers, we all know how much it costs to acquire, train and keep good staff or volunteers. So what have you done for your team lately? It's the little things that count! The act of giving a pin at a company award ceremony can go a long way. Especially if you combine the pin program with other perks like plaques, clothing or gift cards. 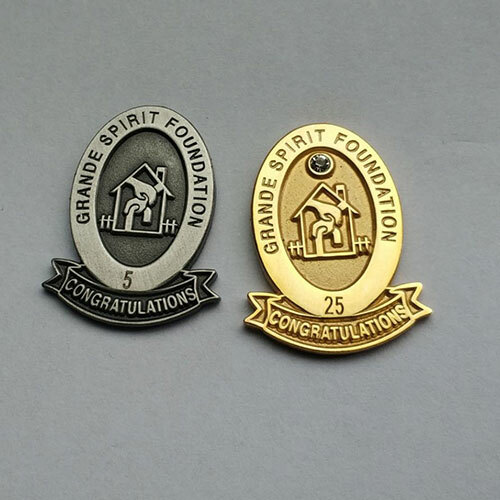 Our years of service lapel pins and award pins are an excellent and low cost option for saying "thanks". The main benefit that pins bring to the table is the ability to mix and match enamel colors, electroplate finishes and even add synthetic gem stones. We've supplied hundreds of these programs in our 47 year history. Our minimum order is 50pc. The good news is that we can don't count each milestone as an order and tally up the total of your pins. Then we decorate it with different metal colors and enamels. Consider ordering for 2-3 years at a time if you are small business owner. Here is an example of how you should submit your milestones. At this point don’t worry about trying to figure out which ones are bronze, silver or gold. We'll help you with that. Can your logo be rendered gracefully in a metal finish pin? We like the metal finish because it stands out from your day-to-day branding. When staffers wear a metal finish award pin, other team members will immediately know that it's for recognition rather than advertising. 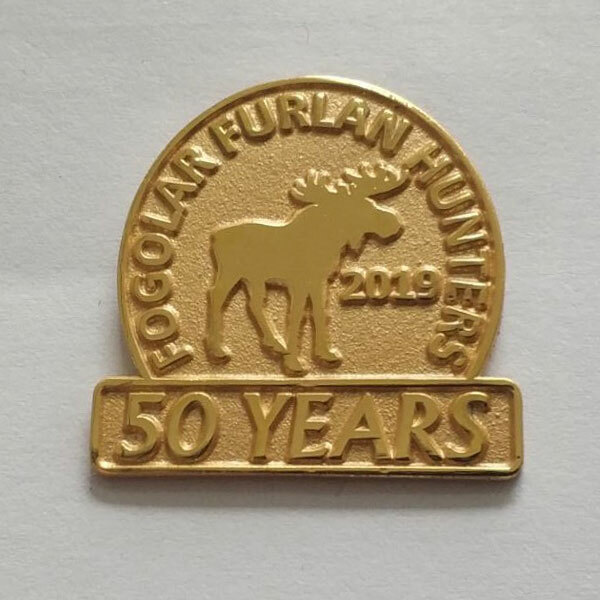 This also allows you to create a program where the entry levels are in bronze, the middle years are in silver and the longest serving employees get gold plated pins. 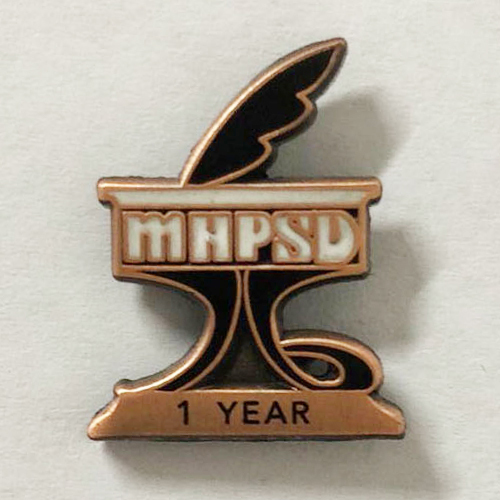 Once the pin design is worked out we'll decide on the best way to add the year or milestone. We always make sure the engraving method we use works the best for your order size and budget. You can elevate the perceived value of the pin by adding a synthetic gemstone. We also supply different plastic boxes or velveteen presentation boxes. View blog post on attachements.